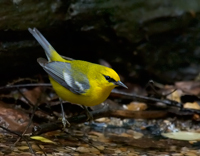 We spent a few days in Texas in April 2012, enjoying spring migration at High Island and looking for warblers in Austin. We share some photos and stories from that trip here. Our thanks to Tropical Birding, and especially our excellent guide, Scott Watson. In three trips with Tropical Birding, we've always had excellent guides. And our thanks to Mary Kaye Teel and Philip Martin, who joined us on this trip. You can navigate the site by daily journal in the left column, by the map page or just use the next page button in the navigation bar at the bottom of the page. All photos and text are © 2012-13 Nancy and Jim DeWitt.